The elegant Underwood pen lines are made for the business executive. 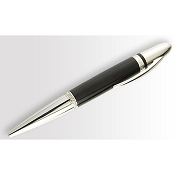 The first line, Forest Hill, originally consisted of rollerball pens, ballpoints, and mechanical pencils. 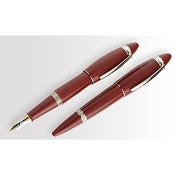 It is enhanced by the classy Piccadilly pens with the first Underwood fountain pen and a new rollerball. 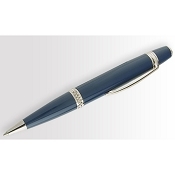 This elegant collection of pens is a design by Underwood and manufactured in France exclusively for Underwood. 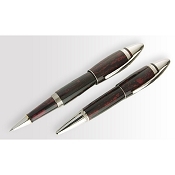 The Forest Hill line includes roller balls, ballpoints, and pencils made from ebonite, carbon fiber, resin, or solid brass. 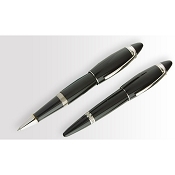 Piccadilly offers fountain pens and roller balls made from ebonite or resin. Ebonite, which is available in black and marbled in the colors blue, green, and burgundy, is a unique natural material derived from latex and processed in an age-old tradition. Carbon Fiber is a unique material created from carefully woven carbon fiber and coated in a super strong lacquer to give an extraordinary finish. The palladium plated full metal versions are available in two types of decoration: "Guilloché Filet" or "Grain Orge" using the traditional method of engine turning. 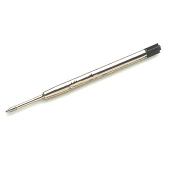 A twist action mechanism brings the pen refills into the writing position. The clip is a hinged solid clip, on the side of which is engraved the country of origin and a unique code. The Roller Ball uses a cap-less Roller Ball refill developed by the Schmidt Feintechnik of Germany. 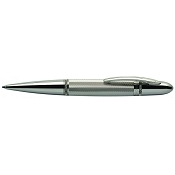 The refills of the Rollerball and Ballpoint Pen are interchangeable. 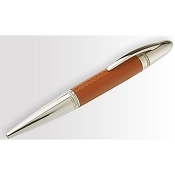 Each Underwood (London) pen ships in a luxurious leather case with a specially designed closure displaying the Underwood logo. 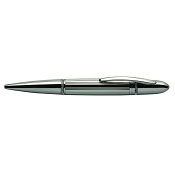 The case holds one Underwood pen but by simply changing the insert, it will hold more than one pen or, for example, as a spectacle case.